Previously showcased on PowerboatNation.com, the Fort Lauderdale International Boat Show was the perfect opportunity to show off the special edition 340X, designed for long-time customer, Ron Schwartz. Our relationship with Schwartz and the collaboration project to design this boat are great examples of how MTI is dedicated to our customers and each individual request. 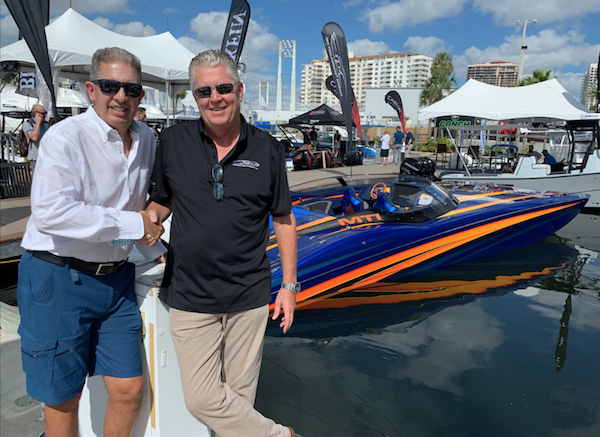 Ron Schwartz, a Nissan dealer from Pennsylvania, helped Marine Technology Inc. kick off the Fort Lauderdale International Boat Show by joining the MTI team at their on-water booth to help promote his newest MTI—the first 340X-SE (Special Edition). Prior to the MTIs, Schwartz owned some Cigarette hulls, including a 39 Top Gun powered by Mercury Racing 700s that he purchased from Gallagher back when he worked for the company. “I had that one for three years, which is a long time for me,” Schwartz says. 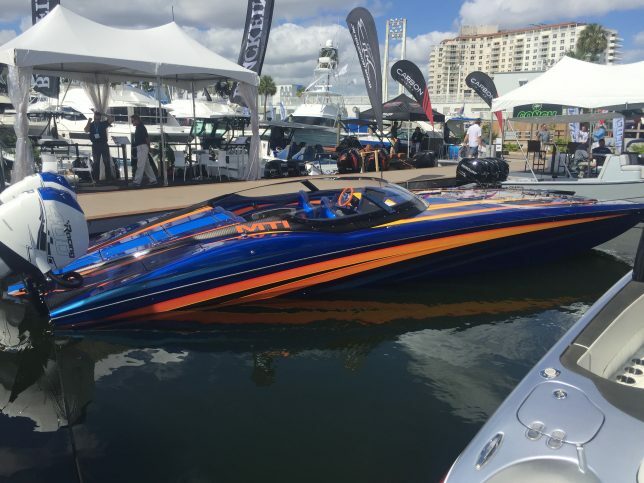 Original article published on powerboatnation.com.